Banshee is a fictional Character, a superhero who appears in comic books published by Marvel Comics. He operates as a member of the X-Men. Created by writer Roy Thomas and artist Werner Roth, the character first appeared in X-Men (January 1967). More about Banshee (Marvel Comics) Character Review - keep on reading !! An Irish mutant, Banshee possesses a "sonic scream," capable of harming enemies’ auditory systems and causing physical vibrations. He is named after the banshee, a legendary ghost from Irish mythology, said to possess a powerful cry, although the banshee spirit is invariably female and the Irish Gaelic to English translation of Bean Sidhe (Banshee) is literally Fairy Woman, making it an odd choice for a male character (the male version is Fear Sidhe). A former Interpol agent and NYPD officer, Banshee was always a decade older than most of the X-Men and had only a relatively short tenure as a full-time X-Man. He was, however, a mentor of the 1990s-era junior team Generation X. Caleb Landry Jones played the role of Banshee in 2011's X-Men: First Class. Sean Cassidy is the heir to both a small fortune and a castle in Cassidy Keep, Ireland, where he was born. In his youth, he married Maeve Rourke and took a job with Interpol as an Inspector. While Cassidy was away on a long mission, his wife gave birth to their daughter, Theresa Cassidy (Siryn). Not much later, Maeve died in an IRA bombing. With no means to contact Sean, his cousin Tom (Black Tom Cassidy) took care of Theresa. When Sean returned to learn of his wife’s death, he was devastated. Before Tom could tell him of the existence of his daughter, Sean lashed out at Tom with his sonic scream for not having taken better care of Maeve. Tom fell into a chasm, breaking his leg, which left him with a limp. Tom swore to make Sean pay and to never tell him about his daughter, raising her himself instead. Cassidy left Interpol (later retconned as being due to Deadpool unintentionally botching one of Sean's missions, and became a freelance detective. The villainous Changeling (Kevin Sydney) discovered him through the group Factor Three and invited him to join the organization. Cassidy was appalled upon learning Factor Three's goals and adamantly refused. Factor Three, with the Ogre, captured him and placed a headband containing explosives around his head to force him to obey them. Codenamed after the banshee, a spirit from Irish mythology, Cassidy was forced to perform various criminal missions for Factor Three. On a mission in New York City, Banshee encountered the X-Men. Professor Charles Xavier used his telepathy to disarm the headband and remove it, allowing Banshee to help the X-Men defeat Factor Three. Later, Factor Three again captured him but he helped the X-Men defeat Factor Three's ally, the Mutant Master. The Sentinels captured him, but he was released from their captivity. While on the run from the Secret Empire, who were capturing mutants in order to harness their powers, he fought Captain America and the Falcon, mistaking their then fugitive status for a link to his pursuers. A few years later, Xavier approached Banshee to join his second group of X-Men and Banshee accepted. After the mission at Krakoa, Banshee remained with the "New X-Men." 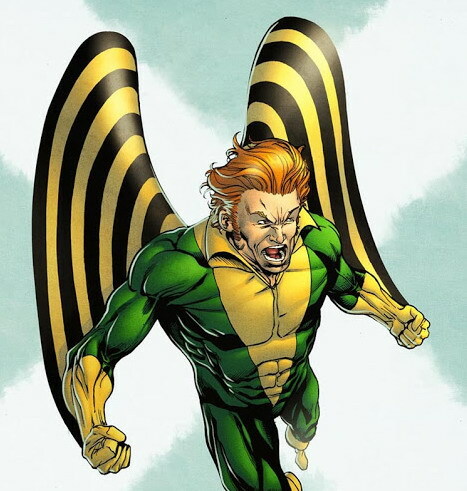 Banshee accompanied the team on many different missions and was present for several key moments in the X-Men's history, including the first appearance of the Phoenix and the team's first encounter with the Shi'ar. While with the X-Men, he met Xavier's ex-girlfriend, Dr. Moira MacTaggert, and fell in love with her. Alongside the X-Men, he fought his cousin Black Tom Cassidy and the Juggernaut. 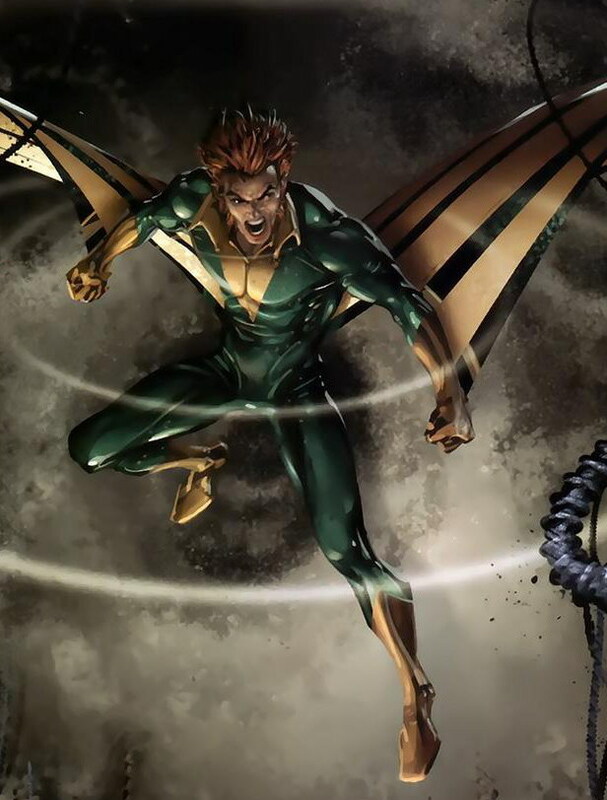 Banshee lost the use of his powers when his vocal cords were severely damaged in battle with the terrorist Moses Magnum, and left the X-Men to stay with Moira MacTaggert. Meanwhile, his daughter Theresa had developed sonic powers of her own, which she used under the alias of Siryn. Siryn felt obliged to assist Black Tom with his crimes, as he had raised her. The pair were defeated by Spider-Woman and the X-Men. While in custody, Tom made arrangements for Siryn to be reunited with her father. Banshee's powers gradually returned as he healed, and he remained an ally of the X-Men and especially of Moira MacTaggert. He revealed that he had an encounter with Wolverine before either of them joined the X-Men. Eventually, Sean healed fully and regained his sonic powers. After the near dissolution of the team following the events of Inferno, Banshee was instrumental in piecing the X-Men together and returned to the team for a second stint. 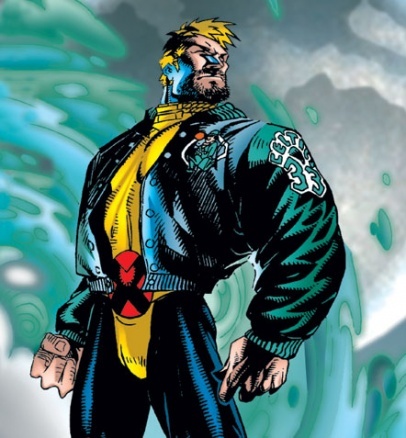 Shortly after the team was formed into the "Blue" and "Gold" teams, Banshee's jaw was broken in battle, and he left the X-Men again to be with Moira MacTaggert. For a time, Banshee was the co-headmaster at the Massachusetts Academy, where he taught the young mutants of Generation X in the use of their powers alongside Emma Frost. Banshee and his students investigated odd occurrences and Cassidy Keep. 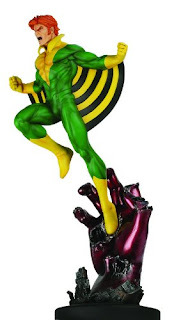 Banshee also became part-guardian, for a time, to Franklin Richards, Artie, and Leech. However, the Academy eventually closed its doors due to the students abandoning their teachers. During this time period, Dr. MacTaggert died from injuries sustained in an explosion set up by the shapeshifter Mystique. Banshee, distraught and possibly suffering from a breakdown, founded the "X-Corps", a group of mutant adventurers who came into conflict with the X-Men over their questionable methodology and membership. Banshee had the new Mastermind (Martinique Jason) manipulate several former members of the Brotherhood of Mutants into working with him. However, Mystique was posing as one of the members, Surge, and she was working with the new Mastermind behind Banshee's back. Mystique helped the brainwashed members revolt; two members of the X-Corps were killed and Mystique stabbed Banshee through the throat before being stopped by the X-Men. Banshee survived the attack and recuperated in the hospital. 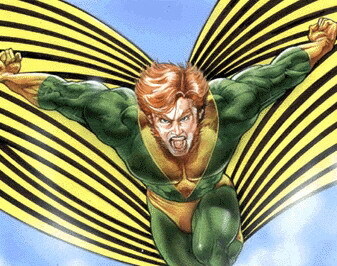 Siryn later joined a similarly named yet less militant organization known as the X-Corporation, in order to atone for what she perceived as her father's misdeeds. Banshee attempted to save an airplane full of innocents from Vulcan who was piloting the X-Men's jet, the Blackbird. Flying towards the Blackbird, Banshee attempted to alter the craft's trajectory with a sonic scream. His plan was unsuccessful, however, as his throat had not completely healed. The Blackbird flew straight through Sean and collides with the passenger plane. Wolverine and Nightcrawler found Sean's lifeless body in the crashed Blackbird and confirmed that he and all the civilians died in the crash. Cyclops delivered the news of Banshee's death to his daughter, Siryn. Siryn was given a video tape that Banshee made for his daughter in the event of his death. In the message, Banshee states that he felt he had done more good than bad in his life, and that he hoped St. Peter would allow him entrance into Heaven. He expresses the hope that he would there be reunited with Siryn's mother. In his will, Sean gave his daughter the family castle—Cassidy Keep—as well as his pipe. Some time later, Siryn was pregnant with Jamie Madrox's child and, upon his birth, names him Sean, in honor of her late father. The child died soon after, however, and Siryn fell into deep mourning for both her losses, and took a brief leave of absence from the team. Upon her return, she adopted her father's code name as her own. Banshee was among the dead people seen in Erebus gambling for his resurrection when Hercules traveled to the Underworld. 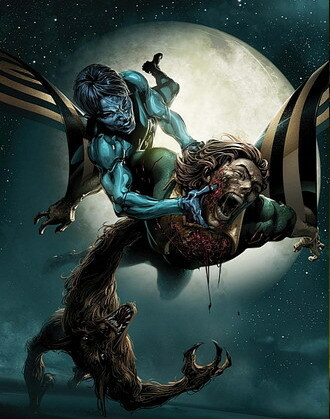 Banshee was among the dead mutants resurrected by the transmode virus that Selene sent to attack the X-Men. He was pushed out of Utopia by Cyclops's beam. Banshee was among the dead people released by Pluto in order to defend the Underworld from the forces of Amatsu-Mikaboshi. Banshee was among the dead X-Men who briefly return to the world of the living because of Amatsu-Mikaboshi's victory in the death realms. He remembered his brief time as a slave for Selene. Alongside the resurrected X-Men and Moira, Banshee was able to fight back the forces of the death realm before presumably vanishing back out of existence. Banshee is later restored to life by a Celestial Death Seed, and is recruited by the Apocalypse Twins as part of their new Horsemen of Death. He attacks Havok and the Scarlet Witch, capturing Wanda and flying off with her. Banshee is a mutant whose superhumanly powerful lungs, throat, and vocal cords could produce a sonic scream for various effects, in concert with limited, reflexive psionic powers which directed his sonic vibrations. He could hover or fly at the speed of sound, and could carry at least one passenger. He could overwhelm listeners with deafening noise, stun them with tight-focus low-frequency sonic blasts (effective even against shielded ears by penetrating the skull via bone conduction), plunge them into a hypnotic trance, disorient them, nauseate them, or simply render them unconscious. Using sonic waves, he could rapidly vibrate himself or other masses at will. He could generate sonic blasts which struck with tremendous concussive force, liquefying or outright disintegrating targets at his highest levels of power. By radiating sound waves outward and reading the feedback, he could locate and analyze unseen objects in a sonar-like fashion. By modulating his scream's harmonics, he could confuse most scanning equipment. He could instinctively analyze, replicate, and block sonic waves or vibrations from other sources. Banshee generated a psionic field which protected him from the detrimental effects of his sonic vibrations, though his sonic powers could still injure him when pushed beyond safe limits. For a while, his sonic powers were gone after having to use them up and down the harmonic scale to stop a weapon of Moses Magnum's. His physiology seemed fully vulnerable to conventional injury when his sonic powers were not engaged. Banshee had selective hearing, enabling him to focus upon, enhance, or totally block out any given sound in his environment; this shielded him from the deafening sound of his own screams, and made him a superhumanly acute eavesdropper in surveillance situations. Sean and his cousin Black Tom were immune to each other's natural mutant energy powers, though Sean's immunity did not extend to the new powers Tom later developed via artificial mutations. A gifted detective, veteran undercover operative, and formidable unarmed combatant, Cassidy was an excellent marksman and a competent amateur machine-smith, well-versed in combat strategy & tactics, and teamwork drills, from his training at Interpol. An effective educator, organizer, and lobbyist, he was also an avid American country music aficionado and skillful amateur piano player. As Cassidy, he wielded conventional firearms, sometimes loaded with explosive "micro-bombs." As Banshee, he wore synthetic costuming designed to resist air friction, usually including underarm wings that helped him glide on air currents and his own sonic waves. The "ribbons" on Banshee's costume (a visual trademark of the character) aid him in his flight. Actor Jeremy Ratchford portrays the character in a 1996 live-action Generation X television movie. In the movie, Banshee runs Xavier's School for Gifted Youngsters with Emma Frost. Sean is much more laid back in his teaching approach than Emma, and wants to make sure that the students bond as a team. In the movie, he can produce a sonic scream that can stun people. While multiple sources have listed Jeremy Ratchford as the voice of Banshee in the X-Men Animated Series, he has said in interviews that he did not provide Banshee's voice in the cartoon. In the film X2, his name along with his daughter's appears on a list of names Mystique scrolls through on Stryker's computer while looking for Magneto's file. His daughter, Siryn, also appears in the second and third films. Actor Caleb Landry Jones played Banshee in X-Men: First Class. He fought Angel Salvadore during the climatic battle at the end of the film. In this version of the story, a prequel to the X-Men trilogy, he became one of the founding members of X-Men. British actor Robert Sheehan was originally cast as the character but dropped out due to his show Misfits. Jones won't be back as Banshee in the sequel, X-Men: Days of Future Past.